Aggies came near and far to celebrate yet another action packed homecoming. I had the pleasure to bring some of my best friends from home with me to share my experience. We all had an amazing time starting with the roadtrip from Charlotte to Greensboro, the crazy yard festivities, to our night out on the town. I recently changed my look by going for an assmyetrical sleek bob and this sudden obsession with red nail polish. Black and white outfits always complement red so well, so both my day and night looks embodied those details. I wore a crochet lace bomber jacket and leather skater skirt wth rose patterned tights and chunky combat boots. Adding a touch of glitz, I rocked my two faux Chanel pins. 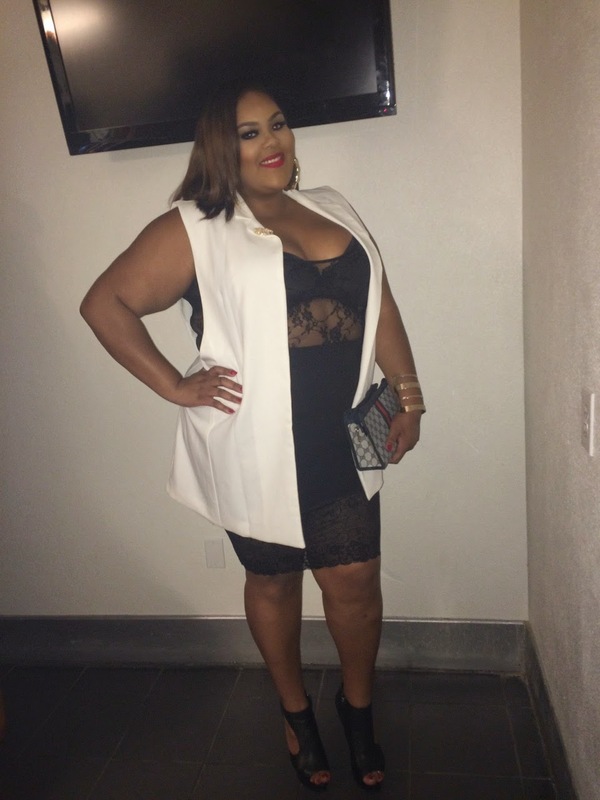 My night time look for a party I hosted was really clean with a creme oversized blazer, lace bodysuit, and a bodycon skirt with lace details. Leather and lace are my favorite textures. I was feeling inspired by having red nails, so a Ruby Woo lip was my signature day and night. I can't wait to do it all again next year.